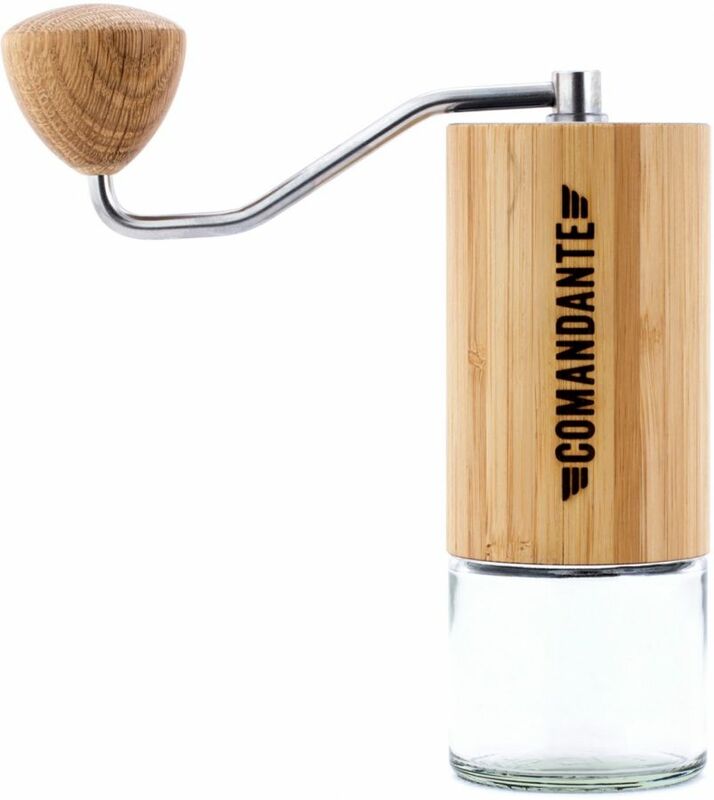 The Comandante C40 MKIII Nitro Blade is considered by many to be the best manual coffee grinder in the world. The grinder offers a wide range of grinding adjustments, stable operation and a refined design usign high quality materials. The selection of the burr material is the proud result of dedicated research and development. The burrs are made of stainless steel reinforced with nitrogen. High-nitrogen martensitic steel is extremely difficult to work with, but when finished, it is tough, highly wear resistant and has a high degree of edge retention. The burrs allow for extremely smooth and even grinding. The grinding coarseness is adjusted by turning a knob located below the burrs. 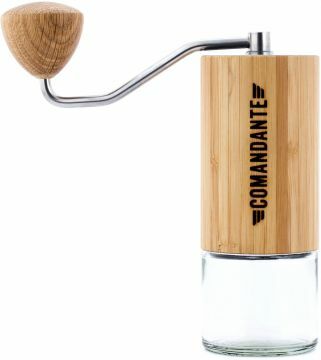 The resulting ground coffee is even both when grinding for alternative methods and for espresso, which makes the Comandante unique compared to other manual coffee grinders. In addition, due to its physical and chemical properties, the burrs are neutral in terms of the effect on the taste of coffee. The use of high quality materials in the design add to the reliability and comfort of use. The body of the grinder is made of stainless steel. 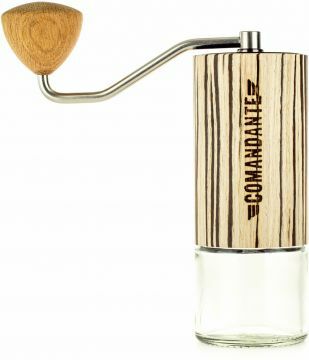 The comfortable profiled handle has handgrip made of oak. 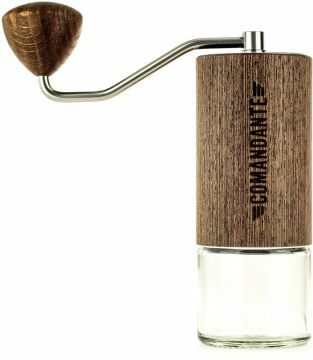 The grounds containers provided with the coffee grinder are made of thick glass and can hold about 40 grams of coffee each. The plastic used in the production is 100% food safe.